LOL! You don't have cats, do you? I'm just imagining my Sydney playing with all that yarn. 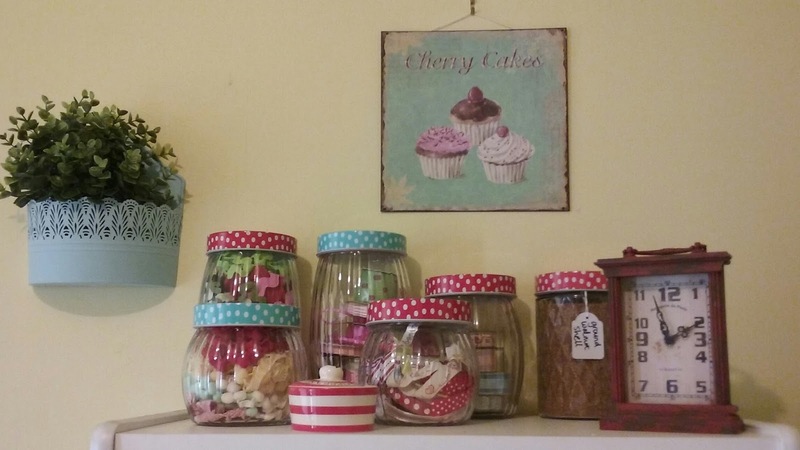 Your room is looking very pretty. 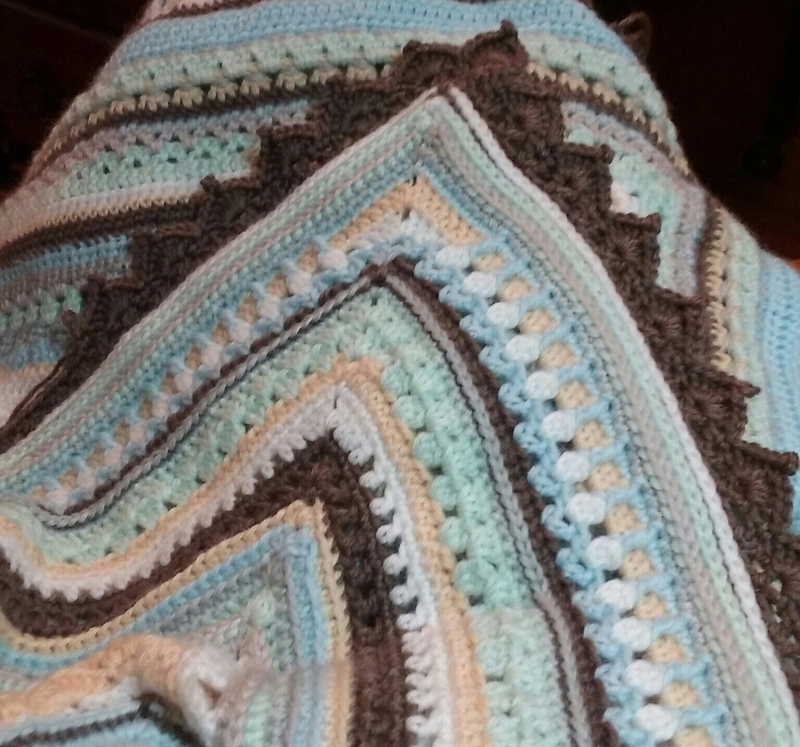 I Love that finished afghan with the brown edging. Very elegant. All the spotted jars look lovely - I am sure the rest of the room does too - but I'm with Sunny - my cat Joey would be in heaven with all those play things. LOL I don't think I have room for any displays in my sewing room. 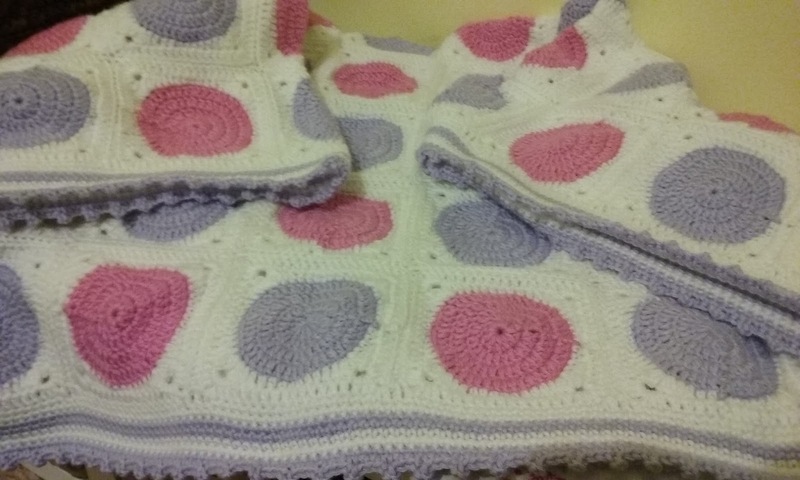 Love your crocheted blankets. 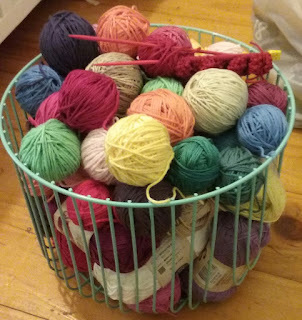 That basket of cotton yarns looks pretty. Mmmm mandalas. They are on my to-do list. 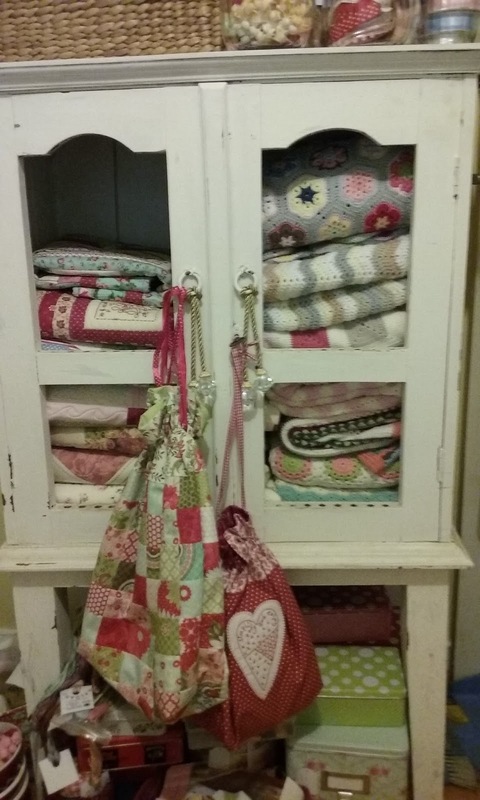 Loving your displays, the quilts look gorgeous in the cupboard. Enjoy !